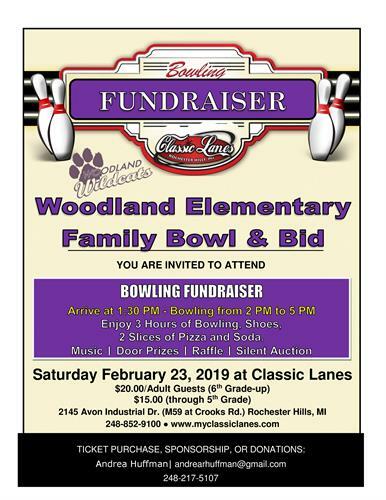 You are invited to attend a bowling fundraiser to benefit Woodland Elementary School. silent auction. Sponsorships welcome and donations accepted.